Utilizing Zix For Email Encryption & Threat Protection In Healthcare - STL Communications Inc. 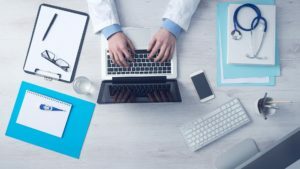 It is no secret that keeping sensitive personal and business data safe is of the utmost importance—especially in the healthcare industry where you are required by law to protect this data in email communications. With that in mind, ZixEncrypt and ZixProtect are excellent solutions to keeping you and your patients’ data safe from data loss and other threats. ata safe and meet HIPAA/HITECH regulations. Pull method offers a secure web portal you can integrate into your corporate portal to enable encrypted email anytime, anywhere on any device, including mobile devices. Push method delivers email directly into your inbox as an HTML attachment. ZixEncrypt also simplifies TLS (Transport Layer Security) by allowing you to define what level of certificate authentication and encryption you need, and setting up your own policy. ZixEncrypt also comes with pre-defined filters for healthcare, meaning you can get started being protected right away. You can then define your policies based on email content what emails should be blocked, quarantined, routed, or encrypted. That way, your emails and their sensitive content go to the right person and remove the worry of becoming compromised. ZixEncrypt also provides data loss prevention. If an email violates a policy and shouldn’t leave your network, it’s quarantined, and an email notification is sent to review the message. ZixEncrypt will highlight the email’s violations for you, which you can review and release (if you so choose) with justifications or simply delete the email. As a healthcare professional, you do not have time to deal with malware, phishing attacks, ransomware, spam, and compromised emails. ZixProtect prevents emails attacks from entering employee inboxes. By combining a multi-filter approach with real-time analysts, machine learning and automated traffic analysis, ZixProtect is 99.9% effective at detecting and filtering out email threats so you remain safe. ZixProtect’s filters analyze multiple characteristics of email, including IP addresses and URLs and content based on targeted phrases, campaign patterns and both known and zero-hour malware attacks. If emails still seem suspicious, they can be re-filtered while Zix’s threat analysts review new content and refine filters based on the latest email attacks. ZixProtect also strengthens protection with sandbox inspection and URL re-write. Zix’s sandbox performs forensic analysis to efficiently manage evasive attacker techniques while inspecting files for suspicious and malicious activity. URL re-write offers full, shortened, or obfuscated links to safe links and performs time-of-click analysis on the destination address to ensure web sites have not been compromised. STL Communications, Inc. is more than happy to help you set up your Zix email security for your hospital or healthcare facility. A knowledgeable technician will be with you every step of the way and answer any questions you may have about your healthcare data security. Come see what we can do for you your organization.